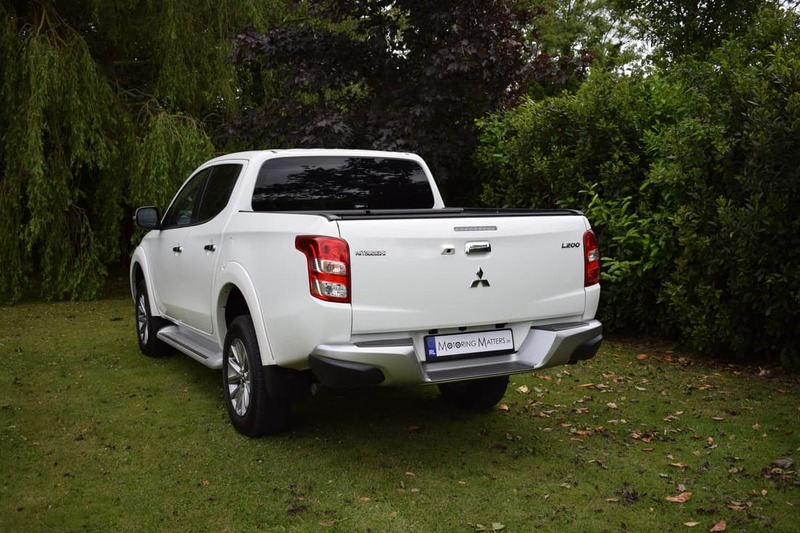 The ingenious Mitsubishi L200 has a long and illustrious history in the Irish pick-up market spanning over 30 years. The latest version is the fifth generation to carry the L200 badge and is improved across the board in every area in order to keep it fresh in the face of growing competition. Rivals to the L200 include the VW Amarok, Nissan Navara, Fiat Fullback, Toyota Hi-Lux and the new Mercedes-Benz X-Class. It was, however, the ‘Series 3’ version of the Mitsubishi L200 that really hit the big time, selling in very high numbers in 2003 during Ireland’s pick-up truck boom. Back then, the tax regime looked very favourably on the double-cab pick-up, allowing businesses to reclaim the VAT on the purchase price and company car users to pay a flat tax rate, making big savings on benefit-in-kind company car tax. Things have tightened up on the tax front now (with more VRT changes coming our way on July 31st) and pick-up sales have dropped accordingly, but the new L200 from Mitsubishi looks set to buck the trend yet again. What buyers get is a five-seat double-cab pick-up with chunky styling and a generous standard specification that far outstrips most vans. This is a working vehicle primarily but the double-cab form means it can seat five and offers a generous load bay behind that can be shielded from the elements by various optional load covers. It means that, in theory, the L200 can also serve as transport for an active family. 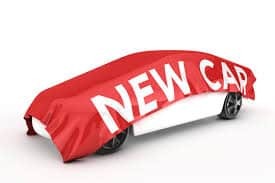 All models get air-conditioning, Bi-xenon headlamps with LED-type daytime running lights, a switchable 4x4 system and a class-leading array of safety equipment, including 7 airbags, lane departure warning system, hill start assist, traction control and trailer stability assist. 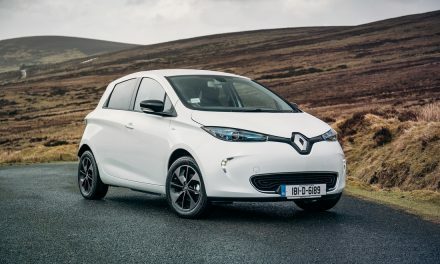 Other external standard features include a distinctive front grille, chrome door mirror housings, side steps, 17” alloy wheels and cargo-bed inner-hooks. At just under 5.3 metres in length and over 1.8 metres in width, this is one seriously imposing vehicle from every angle and one that attracts admiring glances from other road users. The L200 is built for maximum stability and traction. Its rugged frame contributes to solid handling and its body is aerodynamically contoured for stable motorway performance. Reliable 4WD traction combines with an advanced suspension to keep the driver in touch with surface conditions so you stay in firm control. The rugged suspension features double wishbones with coil springs and a stabiliser bar in front, plus practical leaf springs in the rear for outstanding traction. 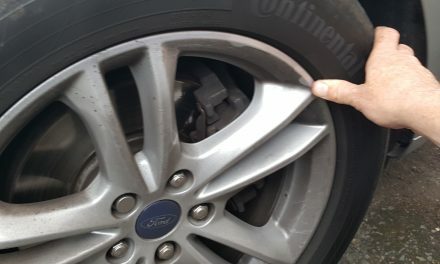 As a result, the ride is stable and comfortable for all occupants. 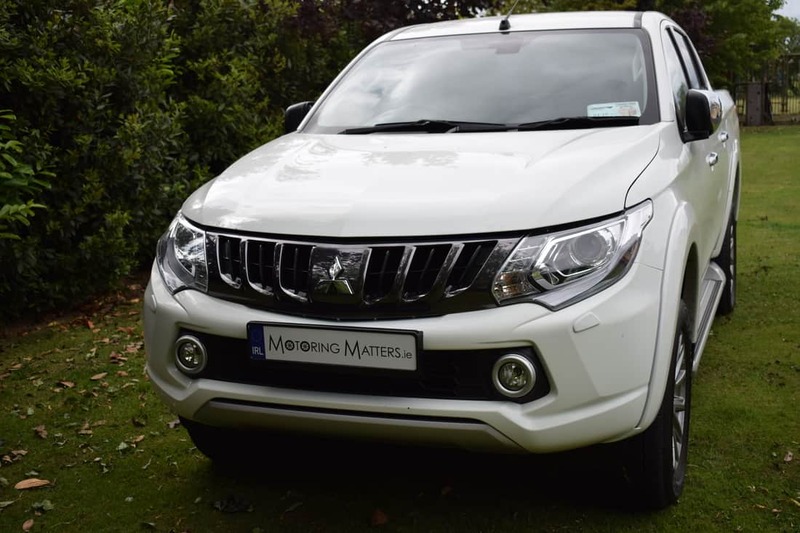 My Mitsubishi L200 press vehicle was a double-cab 2.4-litre DI-D 4WD ‘Intense’ model with a standard 6-speed manual gearbox (an automatic gearbox is available as an option) and was finished in Polar White paintwork. With 181bhp and 430Nm of torque available – courtesy of Mitsubishi’s Innovative Valve-Timing Electronic Control (MIVEC) engine – the 0-100km/h sprint can be completed in as little as 10.4-seconds, while fuel consumption as low as 7.1l/100km is possible on an extra-urban driving cycle. This wonderful engine is the jewel in the L200’s crown and is lively, responsive and ready to pull a braked trailer weighing up to 3,100kg. 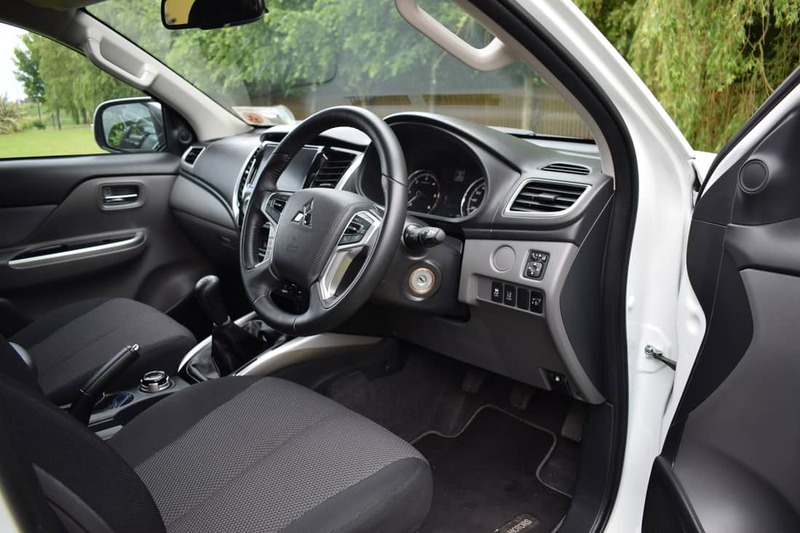 All occupants can travel comfortably in the L200 Double Cab, due to its class-leading space offering excellent head and legroom. Enhanced high-quality seating, including newly designed front seats, raises driving pleasure for all occupants. 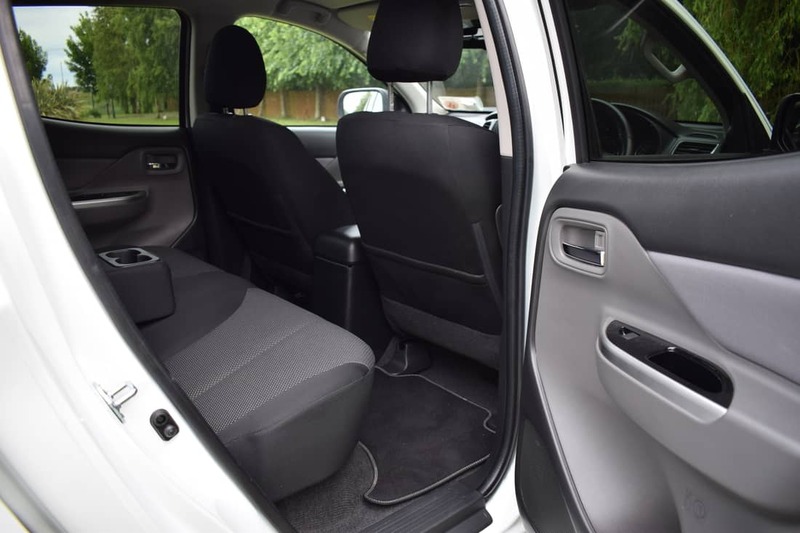 Strategically placed sound insulation and vibration damping material further contribute to a quiet, comfortable ride. Everything you need, including convenient storage features, is here to ensure a pleasurable journey. 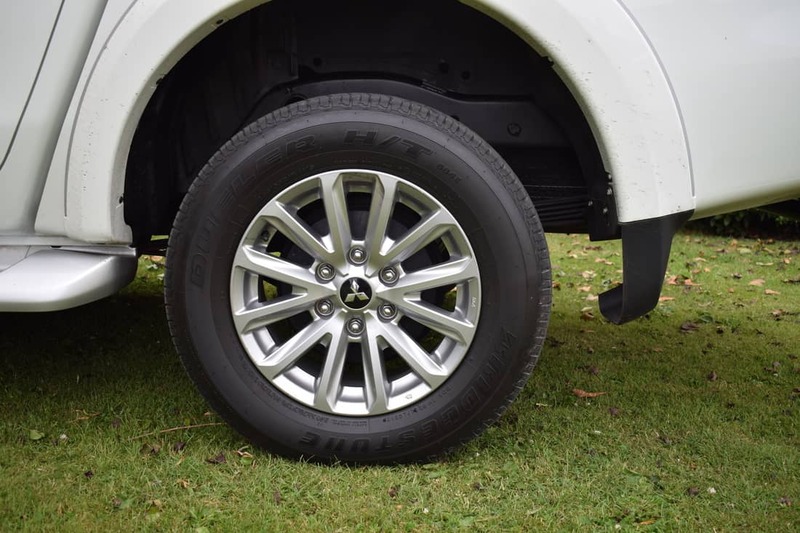 The turning radius is surprisingly small for a vehicle of this size, making the L200 especially easy to park and manoeuvre. The steering is sporty and responsive, requiring less effort to turn. 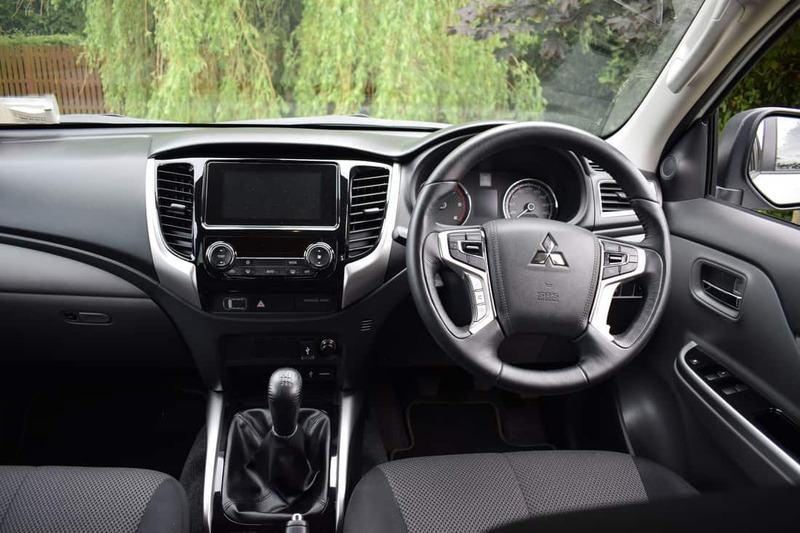 The combination of all these features ensure that the Mitsubishi L200 remains car-like to drive, while the high driving position provides a commanding view of the road ahead. 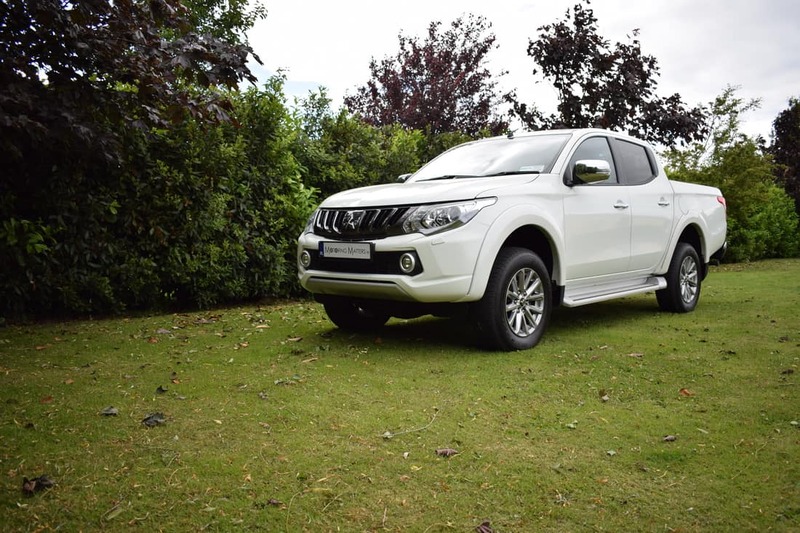 Up to now, the Mitsubishi L200 was available in two specification levels – ‘Business’ (with 154bhp & 380Nm of torque) and ‘Intense’, but Mitsubishi have introduced a new L200 2.4 DI-D 181bhp, 6-speed manual, ‘Black Line’ limited edition model – featuring striking new black styling elements such as black mesh front grille, black 17” alloys, black wheel arches, side steps and rear step bumper. It also features a keyless operation system. It comes with the high standard of specification already available on L200 Intense models – Smartphone link audio Display System with 7” touchscreen featuring Apple CarPlay and Android Auto, rearview camera, electric folding door mirrors, tilt and telescopic steering wheel. For 182 Mitsubishi have a special offer on all L200 Black Line and Intense models accessories. 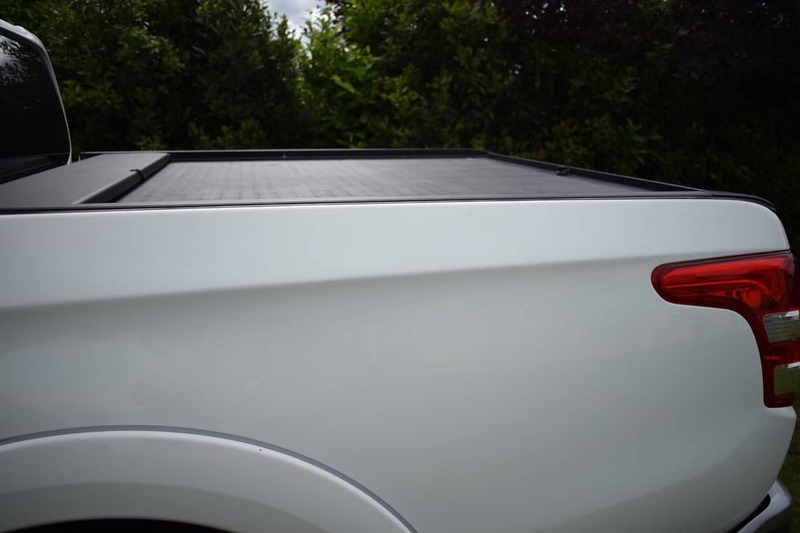 For vehicles registered before 31st July 2018 customers receive a 10% discount on the canopy of their choice, as well as Free Tow Bar and Free Bedliner. Terms & conditions apply. The Mitsubishi L200 Black Line is available from €35,900 ex-works (inc VAT), with the entry-level Business model priced at €30,250 ex-works (inc VAT) and the Intense model priced at €34,950 ex-works (inc VAT). A 5 year /150,000km warranty is standard across the L200 range for total peace of mind motoring. I have to say that this is one extremely desirable 4WD vehicle from Mitsubishi and it deserves continued success. 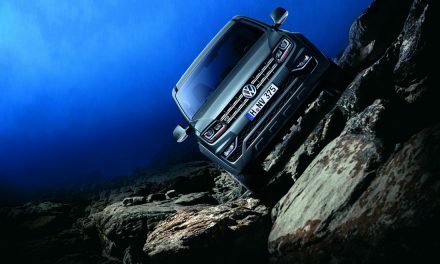 PreviousNew VW Amarok Aventura – Ready For Adventure.